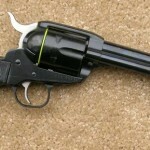 The Rossi M68 is a 5-shot, 38-caliber revolver and designed to be a small and easy to conceal piece. Rossi Firearms have a good reputation with a very affordable price tag. 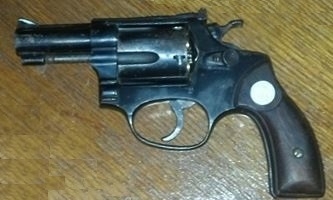 The little Rossi is a great example of the classic .38 design. The M68 is a champ, it digests even the cheapest ammo without any loss in accuracy. The weapon is lightweight and very easy to carry. The short 2.5-inch barrel means it’s also easy to draw. 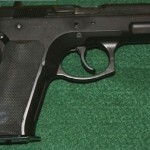 The large front sight is built for quick acquisition of close-range, large targets, i.e. a bad guy’s torso. The double-action trigger pull is heavy, but is very smooth. 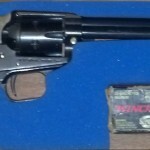 The single-action is very light and nice. The grips are small, but comfortable enough that you don’t need a grip adapter, unless you have extremely large hands. The cylinder locks up nice and tight, and hammer features a large and easy to use thumb catch. The cylinder latch is also large and round and very easy to engage. The price tag on these revolvers is often under $300 and in fact you can pick up an older model for under a hundred bucks. The low price does not mean low quality – this particular ancient Rossi has never had issues. She ain’t pretty, but she shoots when she needs to! 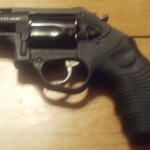 I love my Rossi .38. I have a 3” model and it’s accurate enough at the range to be fun, yet small enough to conceal. It’s the Golden Retriever of revolvers. Not expensive, accurate, and reliable. I couldn’t ask for a better gun. I have a model 442 at least is the model that is printed beside the barrel, and when I search, goggle only shows S&w 442. 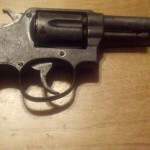 Is a 4” barrel but is pretty similar specially about the handle, like this yours m68. 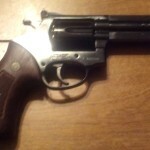 I bought with a defect, the action doesn’t work double, only single action. When I press the trigger the hammer goes back a bit and falls back on the same position. Anyone have any idea where can I find parts for repair? Does the models 442 and 68 share the same internal parts?